One of the best additions to this newest Super Smash Bros. game are the character’s alternate costumes. Back in the days of Super Smash Bros. Melee, it wasn’t uncommon to see four Links or Marios bouncing around dressed in the exact same clothes, just in different colors. This latest game might have a bit of that, but better yet, it has alternate costume to even further change up the scenery. Wire-frame Little Mac and the male Wii Fit Trainer come to mind as being designed completely differently that the main character model, but Link’s takes the prize as the coolest revealed so far. We all know the Hero of Time always wears something green, but the extent of his green tunic often changes from game to game. As seen here, Skyward Sword‘s tunic is very different and is a bit more relaxed than the warrior garb he always wears in The Twilight Princess or Ocarina of Time. Luckily for you, you will have the option to use both! 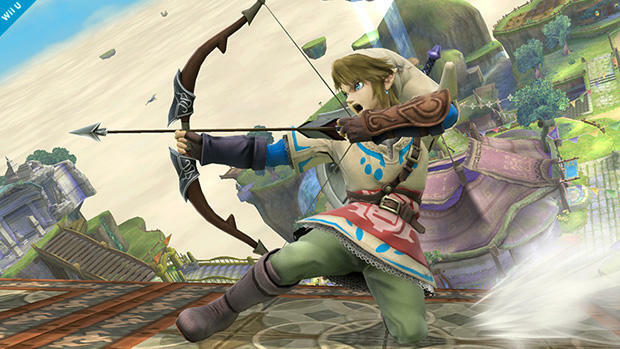 Which do you prefer, battle ready Link or a bit more laid back Link? Director Masahiro Sakurai posted the image on his Miiverse account. 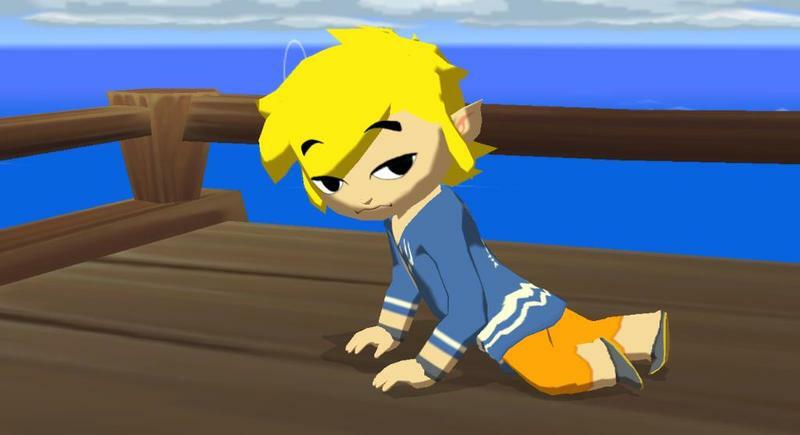 With this in mind, who wants to see Toon Link dawn the legendary Blue Lobster T-Shirt now in Super Smash Bros? Nintendo, make this happen.